Race Day is so exciting I love everything about it! The preparation, excitement, nerves, the unknown even waking up at 4:30 am well maybe not that part. My alarm went off at 4:30 am I was happy that I slept the whole night through. I ate brown rice with honey and banana I know weird but I have been eating that in the morning before training runs so I stayed in the routine. Nat picked me and Jennifer up in a cab and we headed towards kits and picked up Meaghan. We arrived up at UBC really early 6am! After walking to the starting line we decided to warm up on the track. After 20 min and a few bush breaks we headed to the starting line. I cant stand waiting in line for a porta potty so I prefer the bushes! Race starts and it feels like we are running quite quickly. I keep telling myself to run my own race but my mind keeps getting pulled towards the thought of keeping up with the group ahead. After a 3:32 downhill 1st Km I decide to ease back a bit and keep reassuring myself I have 20 more km to go. Coming through Spanish Banks around 9-10km is a big downhill and feels so good. Even though I know my legs are getting destroyed. I stay relaxed and keep my head and eyes up on the uphill and before i know it I am coming through kits heading towards Burrard. It was so great to have Suzanne Evans and Katrina Driver really good competion we kept each other moving through the whole race! 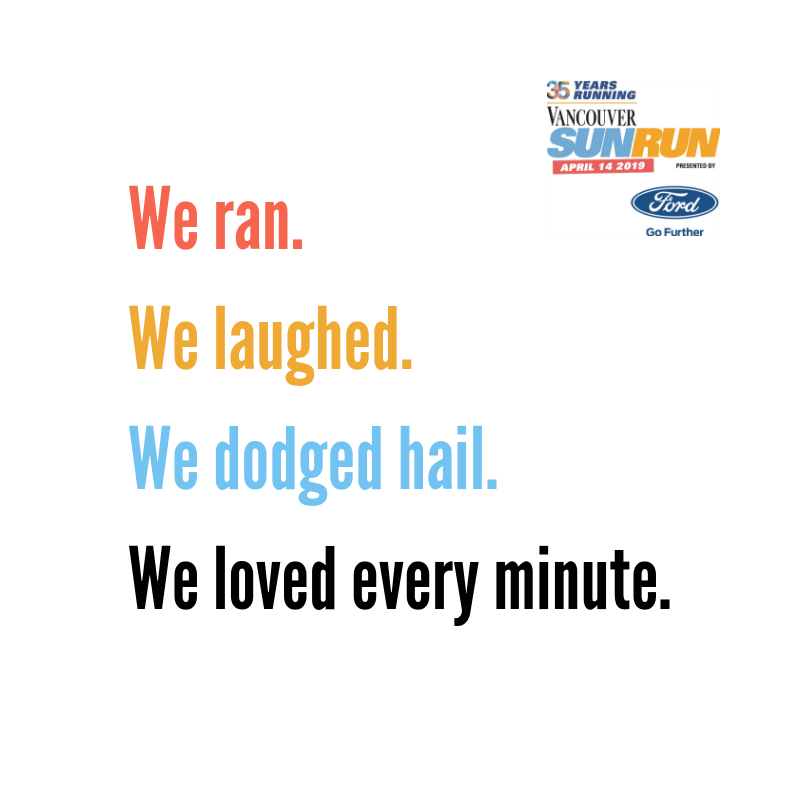 I repeated positive affirmation as I went over Burrard and tried to stay relaxed through to the finish. the last km I was hurting and very happy to see the finish. 1:21:16 6th Female overall 2nd in my age group. Being the competitive athlete I am I am not satisfied with my result. The last few days I have been working on accepting and moving forward. I am taking this result and using it as motivation for the next race. I am not sure as what I will be racing over the summer and fall I am taking the next few days to think this over. All of VFAC had great results! Way to go! Especially Kevin who ran a impressive and inspiring 1:10! After crossing the finish line I cooled down with Lisa Harvey Isabelle and Suzanne. Suzanne and Lisa had amazing races. Lisa was 1st Female and Suzanne finished in a very strong 4th pace 1st B.C. women Way to go Ladies! The next few days I will be recovering running 30′ easy Mon, Tues, Wed, Thursday I will run 90′ easy steady! I will be hitting the trails! My legs and feet are a tad bit trashed! My body has been enjoying the benefits of Hot Yoga. Way to go David with a new PB! A big Thank you and shout out to the talented Photographer Mr. Rick Horne Thank you for always being at every finish line capturing the moment!